TANGEDCO, Tamil Nadu Generation and Distribution Corporation Limited, has been functioning as 2 organisations, one for the Generation and Sharing of Power and the other for the transmission of electrical power. With the prevailing extremely scorching summer, the frequent unannounced power-cuts have caused great disappointment and hardship among the public! As it is, the present power generation of TANGEDCO. 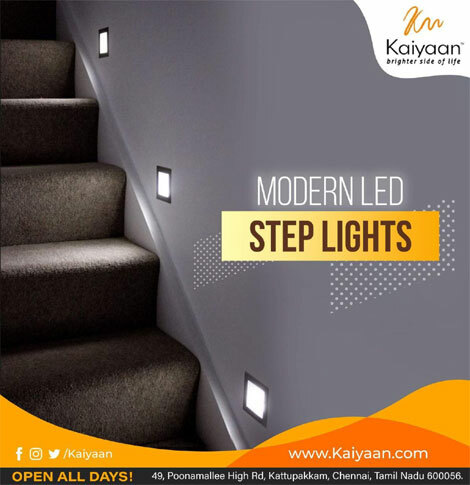 These outdoor step lights look beyond cool they make up the stairs themselves with a passion. Perfect for people that like luxury yet unique appearance. So modern and sleek. Running from pillar to post to get the work done is not an easy task. Now in Chennai many residents have been doing this for getting power connections. The point is large number of Chennai residents have applied. The central government has decided to install prepaid electrical energy consumption meters as mandatory throughout the country. The maintenance staff of the TANGEDCO undertakes maintenance work on a regular basis so that the substations and to ensure that the electrical equipment set up function smoothly. Power supply will be suspended in the following areas on 26-02-19 between 9.00 A.M. to 4.00 P.M. for maintenance work. Supply will be resumed before 5.00 P.M. if the works are completed.